August of 1984 -- "Cool It Now" by New Edition. I've told ya'll how much I loved the summer of 1984. Great movies like NeverEnding Story. Great games like this and girlie things like Poochie for Girls. Great TV shows like Double Trouble. And best of all, great music like this tune, oh and New Edition's "Cool It Now." The music was so innocent and poppy. 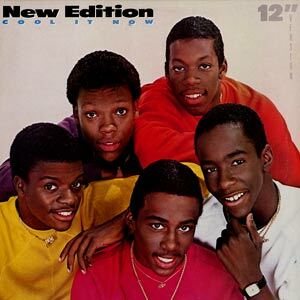 "Cool It Now" by New Edition was released in late summer of 1984 and was one of my faves to SKATE and singalong to. I especially loved how New Edition's lead singer, Ralph Tresvant would call out each New Edition member name, "Ronnie, Bobby, Ricky and Mike ..." I've read that when Johnny Gill replaced Bobby, they'd sing out "Johnny". Let's not even talk about Bobby Brown's problems, shall we. Let's just remember the song and the group for what they were at the time to a 12-year-old me, FUN! Every weekend our parents would drop us off at Hot Skates, the roller rink in Lynbrook, Long Island. Songs by young kids like New Edition and Musical Youth were all the rage there for a while and I was lovin' it. Every song just made you want to get out on that shiny wooden floor and skate your little heart out. Backward, forward, couple skate -- just SKATE! 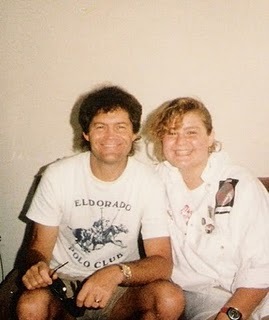 Relive the summer of 1984 with this classic video of young love and "Cool It Now you got to slow it down, ooooh watch out, you're gonna lose control..."
I am not going to sugarcoat how I felt about The New Monkees in 1986. I was pissed. At the time, I was a teen reporter for Long Island Newsday and expressed my disgust in an article about the new show. Back then, the paper printed teen writers' last names and ages. 1986 was before call ID, call block and *69. In other words, there was nothing you could do when you got a random prank or evil call. I remember a man called our family home and went off on me for talking smack about this AWESOME new show. Dude, you're a man and I'm 13 1/2, what the hell? Let's face it, nobody likes anything that's redone. Remember New Coke? 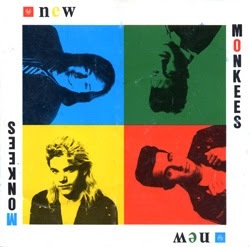 How insulting is it to any band, even a prefab group like The Monkees, to release a NEW version? Imagine the New U2 or the New REM? Eww! For more info on what The New Monkees were all about, check out The New Monkees Wiki page. Here's a clip to refresh your memory... For the younger readers, check it out anyway and hope nobody ever redoes your favorite band. Wait a minute, that's not the real Carol Seaver! 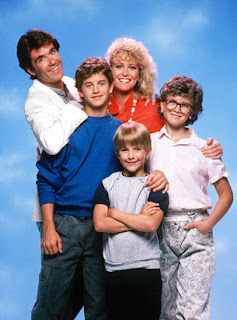 When Growing Pains first aired in 1985, there was some weird mystery surrounding the role of Carol Seaver. Teen magazines like Bop, Tiger Beat and Teen Beat had us tweens pumped about the new show and it's new heartthrob, Kirk Cameron as Mike Seaver. The mags ran promotional photos of the young cast and also introduced us to Elizabeth Ward as Carol, Mike's brainy younger sister. Jonathan Ward as Douglas Pembroke on Charles in Charge. Actress, Elizabeth Ward hailed from Elkridge, Maryland and had a brother named Jonathan Ward best known as Douglas Pembroke during the first year of Charles In Charge. Here's where the confusion comes in. When Growing Pains first aired, that chick Elizabeth wasn't Carol! Carol was played by Benson star Missy Gold's little sister Tracey Gold! Growing Pains cast with Tracey Gold as Carol. It turns out test audiences weren't feelin' the original Carol. Could you imagine being Elizabeth Ward? Seriously, picture it ... You're cast in a big-time sitcom alongside cute Kirk Cameron, promo photos are distributed to the media, you've told your friends to watch out for your new show and then in a flash the dream is over. A quick search on Elizabeth's IMDB resume shows her career in acting sorta ends around the time of the Growing Pains debacle. How devastating. 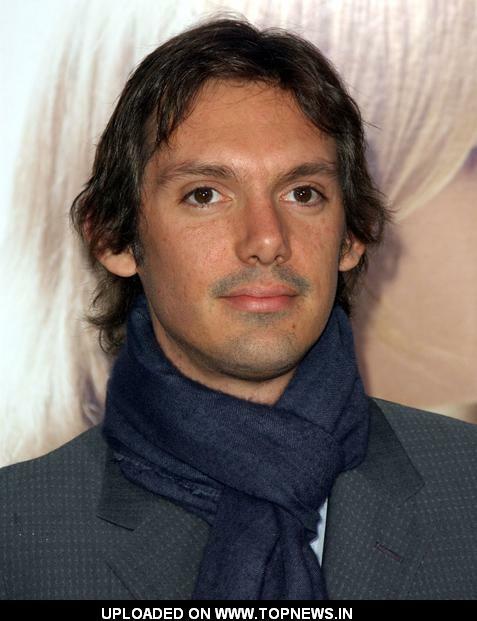 According to Wikipedia, today Jonathan Ward owns an auto restoration shop, His sister is no longer acting. Her married name is Elizabeth Ward Langson and I found her on Facebook. Don't worry I didn't message her or anything. 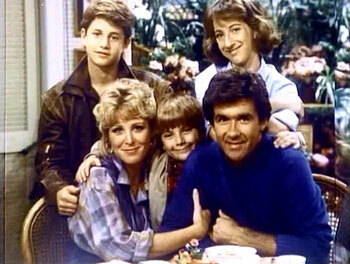 Click here to view the original Growing Pains pilot featuring Elizabeth Ward as Carol Seaver. "I learned it by watching you, Dad!" What kid or teen from 1987 doesn't remember joking with their friends saying, "I learned it by watching you!" 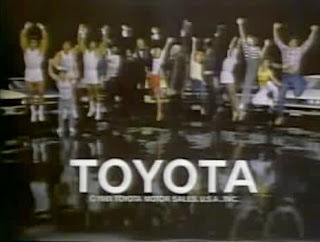 The line originated from an Anti-Drug PSA commercial sponsored by the Partnership for a Drug-Free America that aired in 1987. If you've been following along for a while, you already know that I'm the Catholic-raised product of two teachers. No matter how much you snooped around our house, the only thing you might find were Christmas gifts in December. Shh, please don't tell my mom. Nothing exciting was hidden in our house and don't you DARE (no pun intended) try to call me out on this. I totally know! When this anti-drug PSA first aired, we kids all had a good laugh. However, to be honest, deep down it was a bit shocking and really made me think. What did this commercial seriously mean by, "Parents who use drugs, have children who use drugs." Whose parents use drugs? Not the kids in my Catholic school classes - those parents wouldn't even let their thirteen-year-old kids see PG-13 movies! Were there really parents who smoked pot? I was so naive. 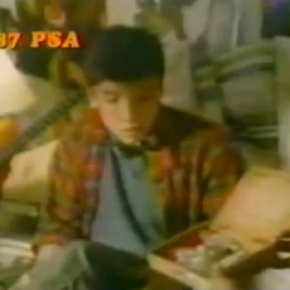 Do you guys remember this anti-drug PSA from 1987? The boy is laying in his bed listening to headphones when the dad confronts the kid about what his mom found by snooping through the kid's things. The boy then hits him with the shocking, unforgettably dramatic line, "I learned it by watching you, Dad. I learned it by watching you!" Do you as a parent plan on or already snoop through your kid's things? 'Fess up! If your kids are small, do you see yourself snooping through their things when they're older? 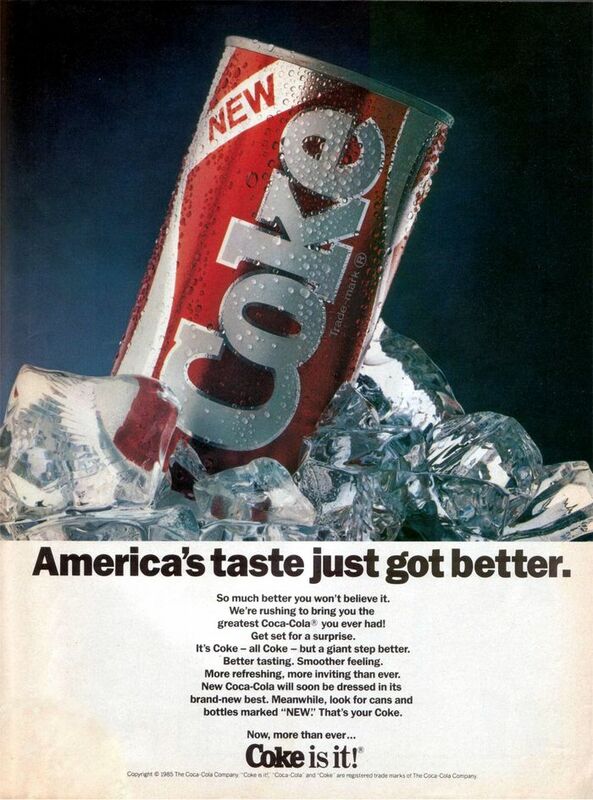 New Coke hit shelves in 1985. Growing up in the 1980s, Coke was it! For some reason I just wasn't a Pepsi fan. No matter how many commercials attempted to sway me with reminders about how America preferred Pepsi after taking the Pepsi Challenge, all I know is that I loved the taste of Coke. It was because of that Pepsi Challenge nonsense that Coke sales began to slip in 1983. Coke couldn't handle losing sales to Pepsi and decided to reformulate their already-delicious Coca-Cola formula. 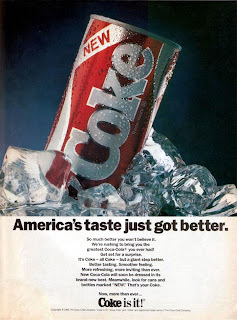 In 1985 we were introduced to New Coke. Personally, I don't remember hating it. I drank it and didn't really have much to say about it. Then again I was only like 12. However, the world around me was up in arms over it. 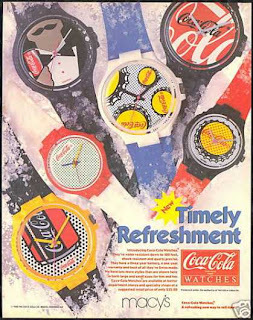 Coke was such a big deal back in the mid-80s. 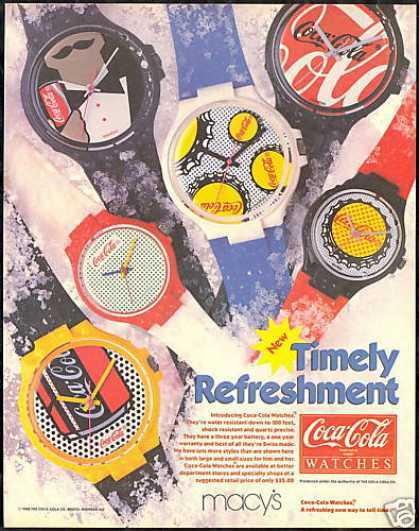 We had Coca-Cola watches, Coca-Cola rugby shirts. We kids LOVED Coca-Cola. 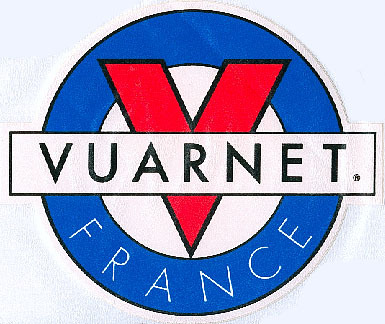 Do you remember this craze? How did you feel about New Coke? Too young to remember New Coke? 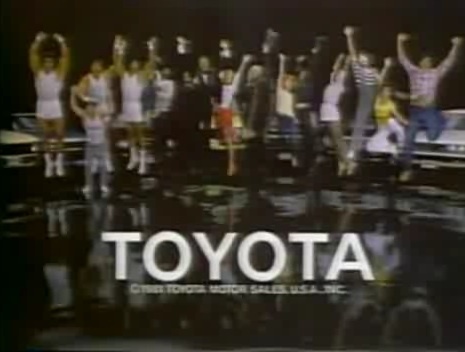 Check out Bill Cosby in this 1985 commercial for New Coke. The other day I blogged about my memories of seeing ET in the movie theater. Sunrise Cinemas on Sunrise Highway in Valley Stream, New York kept kids busy before and after their movie. How? They had ColecoVision arcade game machines all along the walls of the immense lobby. However, it was my preteen addiction to these games that kept me coming back for more. 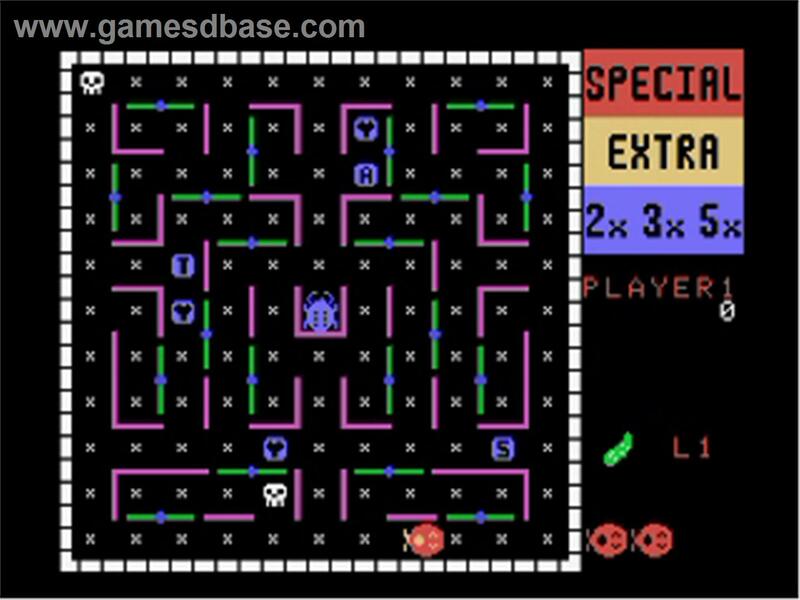 My personal favorite was LadyBug, though Q*bert was a close second. 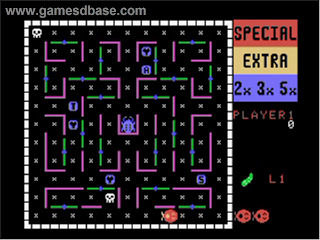 Other than the obvious Pac-Man and Space Invaders, do you have a favorite retro video game from your own childhood? What is it? *For more info on the Lady Bug game by Universal, click here. This weekend during what I often refer to as "The Best Year Ever" or 1982, my most favorite childhood movie of all time opened in theaters. 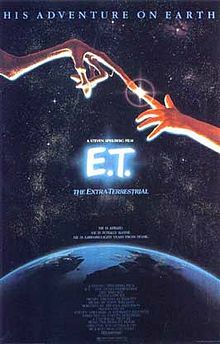 Yes, Friday, June 11, 1982 was the day E.T. opened in Long Island theaters. The movie theater setting the backdrop for this momentous occasion was called Sunrise Cinemas, located on Sunrise Highway in Valley Stream. This multiplex theater was amazing back in the early 1980s. Sunrise Cinemas featured so many different movies and weekend matinées. Coleco games filled the waiting area allowing us kids to kill time and engage in a few rounds of Ladybug while our folks waited on line for movie tickets. As much as I loved E.T. and saw it 14 times in the theater that year, one horrendous line in the movie somewhat tarnishes my pleasant memory. Wedged between my parents and six-year-old brother in a jam-packed theater, a 9-year-old me had to endure one of my very first embarrassing moments. What could that possibly be? When Elliott (my love, Henry Thomas) blurts out this horrible name for his brother, Michael (Robert MacNaughton). I can't even type it. To this day I'm still embarrassed. So you'll have to just watch it here on YouTube. It's only 15 seconds, so sit tight and check it out. I was surprised to learn the line was later removed for the DVD release, interesting. 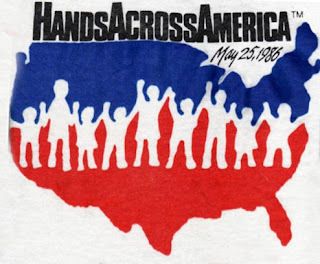 Too bad it wasn't removed when it mattered to me most, back in 1982! 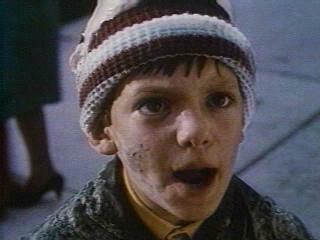 Elliot in E.T. 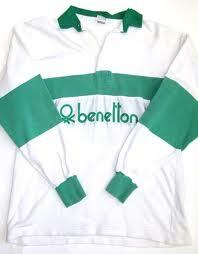 to his big brother Michael, "It was nothing like that ..."
Benetton 1980s green and white rugby. If you were a teen in the late 1980s, you most likely owned this shirt. This vintage Benetton rugby came in green and white or blue and white and I believe sold for like $40. 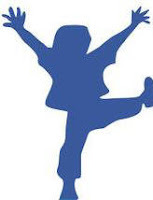 I loved Benetton Colors perfume and socks because at a size 14, Benetton clothing didn't really fit the "bigger" girl. However, this one particular green and white three-button rugby style shirt fit! I have no idea how or why, but it fit. Wearing this Benetton shirt made me feel special. I can't explain it. I felt so "cool" wearing this stupid shirt. 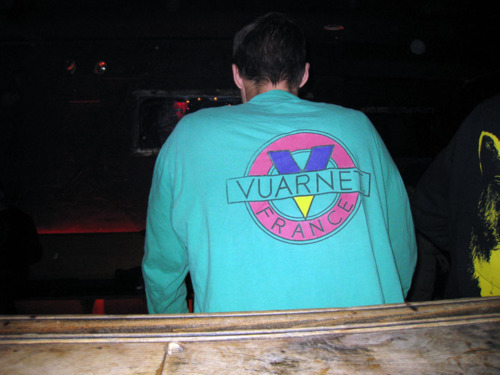 Looking back now, I am ashamed that I needed to resort to an overpriced shirt to feel special. You know how I feel about remakes. Last year I nearly cried over the remake of the classic Karate Kid. Remember? Now MTV had to go and redo the summer of 1985 Michael J. Fox classic, Teen Wolf. I'm experiencing this strange sense of mourning knowing that today's teens will equate the title of this '80s favorite with a different Scott Howard and a different Stiles. 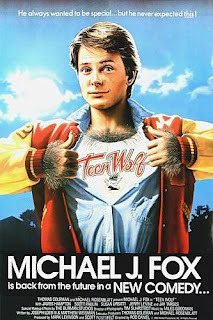 Today's teens will think of Teen Wolf as a dramatic series and not the comedy we '80s kids knew it to be. Although MTV's Teen Wolf director, Russell Mulcahy is a truly credible 1980s director--he brought us the classic videos for The Buggles' "Video Killed The Radio Star," The Vapors' "Turning Japanese" and ironically Duran Duran's "Hungry Like The Wolf" video, it's just not fair. I mean, come on! Look at these dramatic, dark faces. 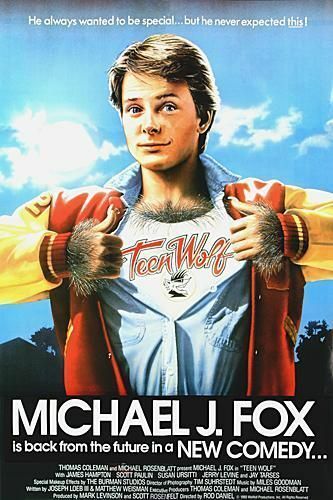 This is not the Teen Wolf we remember and love. Why does everything need a remake? I just don't get it. Someone enlighten me, please. So bummed. I lost at Pin The Tail On The Donkey. 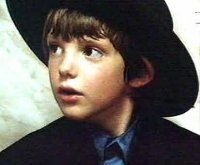 This weekend, about 33 years ago, was Eric's birthday. Eric was my friend in first grade. He lived in a big, beautiful Tudor style house. It was a corner house shaded by oversized trees and greenery. It was unlike any home I had ever seen as a child. In high school a buddy of ours lovingly referred to Eric's home as "Stately Manor." 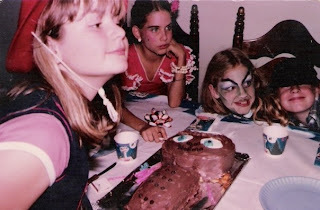 If you ask me about any birthday parties from that year, I honestly cannot recall them. Although the memories of that day are somewhat cloudy and confused, here's what I do remember ... For one, I loved Eric's parents. They were classy, artistic, sophisticated -- like city folk in the suburbs -- and I liked that about them. They were different than my other classmates' parents. I was a dancing machine! I remember that Eric's sixth birthday was the only party I ever attended that had a dance contest. Let me tell you, I needed to win this dance contest. I leaped on top of a table and gave it my all and somehow boogied my way into winning a handful of pencils. I swear to you those unsharpened yellow #2s made my week. Clutching my prize, I was so very proud. Sliding my forefinger under the smooth tan rubber band, I counted them and recounted them. I remember sitting in the back of my mother's car on the ride home from Eric's, bragging about how I was the very best dancer. I wonder if I told Mom that I lost at Pin the Tail on the Donkey. I felt such anxiety being blindfolded and turned around, left to navigate in darkness while other the children watched. 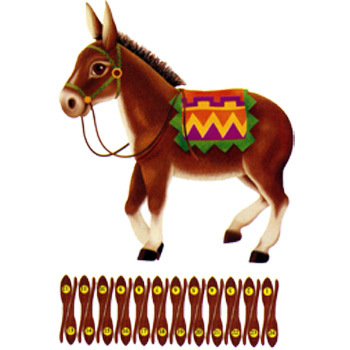 I cried to Eric's father that Pin the Tail on the Donkey was unfair. I needed to win one of the games at Eric's party. I couldn't go home a loser. Was I really the best dancer at Eric's party? I'll never know. But thank you Eric's parents for making me a winner that day. Happy Birthday, Eric. I will always remember your first grade birthday bash on East Dover Street. The Fun Fountain clown sprinkler by Wham-O. 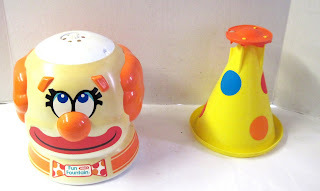 As the temperatures heat up, I remembered this freakish clown sprinkler toy. I believe the Wham-O Fun Fountain debuted around 1979 and continued its popularity into 1980. The idea behind the clown head sprinkler toy is attached to your family's garden hose. The force from the water stream keeps the cap suspended in the air. It's simply magical! 1979 Fun Fountain, creepy or cool? Although I wanted one, my dad said something along the lines of, "We have a pool, no need for that plastic garbage." This meant no Wham-O Slip 'N Slide or Wham-O Fun Fountain for me. Did you have one of these creepy, but cool clown head fountain sprinkler thingies? Some say when the clown hat fell on your back or head it wasn't very "fun." It was exactly 22 years ago today, Carpe Diem or "Seize The Day" was on the tip of our tongues. As a senior in high school I remember my excitement for Dead Poets Society. The film stars Robin Williams as John Keating, an off-beat English professor and founder of the Dead Poets Society. With a bevy of beautiful prep school boy to chose from -- Ethan Hawke, Josh Charles and Robert Sean Leonard, what female teenage movie-goer wouldn't been excited to see this film? There was something about the 1950s charm combined with rich boys in sweaters and a New England backdrop that made for a heavenly choice. Again, we see the secret lives of boys I mentioned in last week's post about Explorers. 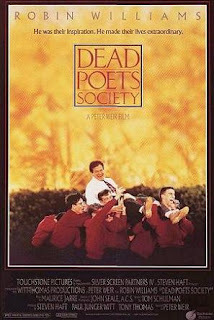 Watch the Dead Poets Society trailer. Teddy Ruxpin, the bear that could read. Today I spoke to Google AdWords about possibly setting up some SEM to help advertise my blog a bit more. While speaking with my new account manager, Dan, he brought up a slew of old toys, games and cartoons from his childhood. Dan, born in 1983, asked me if I had a Teddy Ruxpin. Teddy Ruxpin was an animated stuffed bear that could read aloud thanks to a cassette tape somewhat hidden in his back. Teddy's eyes and mouth would move while he read giving Teddy a somewhat creepy lifelike feel. Teddy Ruxpin hit the market in September of 1985 and by then, I was too cool for toys. As an 8th grader, I was already writing for our local newspaper and collecting Monkees articles from Tiger Beat. So I can't say I ever owned or wanted a Teddy Ruxpin bear. How about you? Did you, your siblings or kids have a Teddy Ruxpin talking stuffed bear? Here are some fun facts about the robotic reading stuffed bear known as Teddy Ruxpin. Author and inventor, Ken Forsee created the animated Teddy Ruxpin. Originally released by Worlds of Wonder, Teddy Ruxpin was a hot selling toy in 1985 and 1986 -- sadly Worlds of Wonder was also a one-hit-wonder going bankrupt three years later. 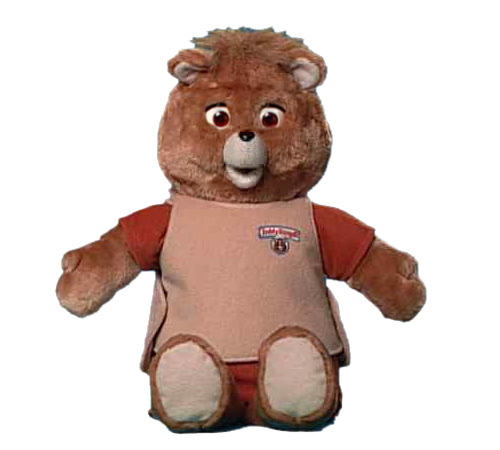 Teddy Ruxpin became such a beloved character he was named the official "spokesperson" for the National Center for Missing and Exploited Children in 1985. The short-lived live action TV series, The Adventures of Teddy Ruxpin aired on ABC from 1987-1988. An original Teddy Ruxpin bear with box fetches $100+ on eBay. View a vintage commercial for Teddy Ruxpin.